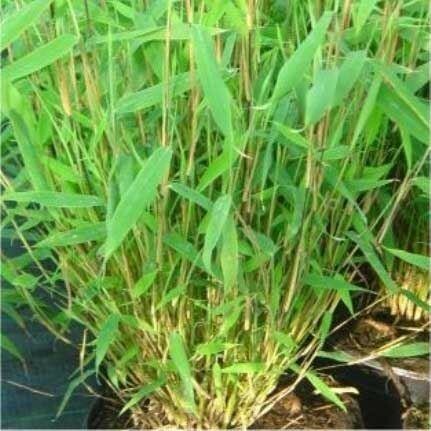 This magnificent Fargesia bamboo owes its name to its most conspicuous appearance when used to create a hedge. Spaced a metre apart, 'Great Wall' plants will soon form a dense screen that is easy to maintain. The narrow leaves remain green throughout the year, and the vertical, upright habit also make 'Great Wall' a good solitary specimen. It can grow to a height of two - three metres. Fantastic on it's own as a feature plant in a Japanese or Tropical themed garden, or alternatively used in a patio planter. These Fargesia are very tactile, calming and relaxing as you hear the breeze rustling through the foliage on sunny days when relaxing outside. Supplied in approx 5 Litre containers at around 60-80cms tall.